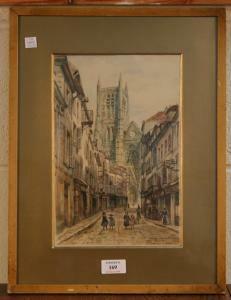 Find artworks, auction results, sale prices and pictures of Tom Lewsey at auctions worldwide. 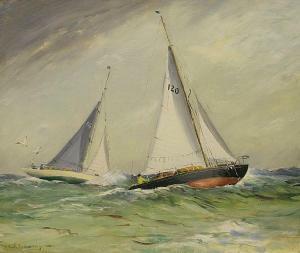 Tom Lewsey - '30 Ton Yawl a Fair Wind', mid-20th century oil on canvas, signed recto, titled verso, 39.5cm x 49.5cm, within a painted frame. 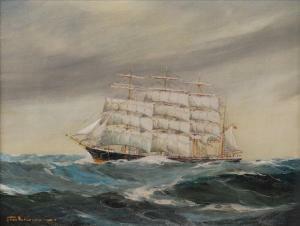 50 x 59cm (19 11/16 x 23 1/4in). 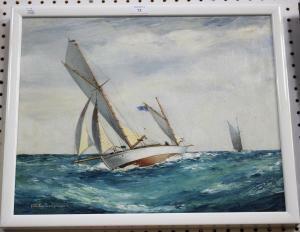 Tom Lewsey - Study of a Yacht in Choppy Coastal Waters, mid-20thCentury oil on canvas, signed, within a painted wood frame.